Bhubaneswar: At a time the Odisha government claimed to have constructed more than 15.50 lakh pucca houses for rural poor, the Comptroller and Auditor General (CAG) on Monday said the government failed to achieve the target under Pradhan Mantri Awas Yojana and Biju Pucca Ghar Yojana. The CAG in its report on state finances for the year ended March 2017 revealed that the physical target of constructing houses under Pradhan Mantri Awas Yojana was zero percent while it was four percent under Biju Pucca Ghar Yojana during 2016-17. 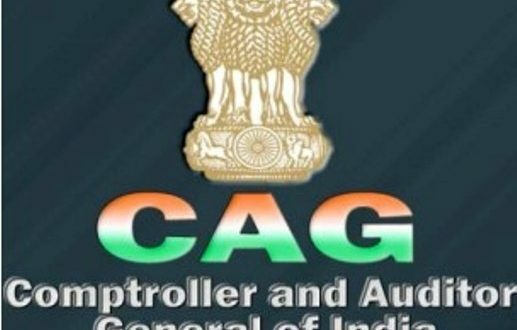 The CAG said the financial and physical targets were not fully achieved during 2016-17. In Pradhan Mantri Awas Yojana, Rs 923 crore (55 percent) was utilized against the financial target of Rs 1,688 crore. The physical target achieved was zero percent as only 343 houses were constructed against the physical target of 3,96,102, said the report. Similarly, in Biju Pucca Ghar Yojana, Rs 398 crore (57 percent) was utilized against the financial target of Rs 700 crore. The physical achievement was only four percent as only 2,636 houses were constructed against the physical target of Rs 62,416. Notably, the state government claimed that more than 15.50 lakh pucca houses have been constructed for the rural poor while it is working on a mission mode to ensure pucca houses to all poor rural households by 2019. The CAG report further said that in assistance to Matsyajibi Basagruha Yojana, the financial target was achieved fully but the physical achievement was Nil. During audit scrutiny, it was revealed that all the fund (Rs 6.86 crore) was drawn from treasury and parked in a bank account, but shown as utilised as on 31 March. However, no houses were constructed for fishermen. It was further observed that in 2015-16, the entire fund under this scheme was shown as utilised but the physical achievement was only 3 percent. In assistance to Fishermen for Development of Livelihood (B&N) scheme, the financial target was achieved fully, but the physical achievement was Nil. During the year, all the fund (Rs 2.53 crore) was shown as utilised and parked in bank accounts as on 31 March, but no boat was supplied to fishermen for development of their livelihood.